What is OrCAD Engineering Data Management (EDM)? OrCAD® Engineering Data Management (EDM) is a comprehensive WIP (work in progress) data management environment for the OrCAD PCB design solution. Fully integrated within the OrCAD environment, OrCAD EDM lets your engineering design team take advantage of the time-to-market benefits gained from effective design data management. OrCAD EDM eliminates the challenges associated with managing files across multiple users, locations, and disciplines. Manage your design data in the same place it is being generated. Inside your CAD tools. 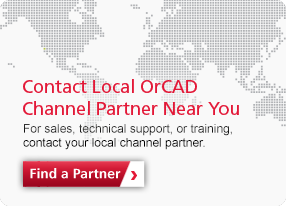 EDM provides PCB CAD aware design data management within OrCAD. 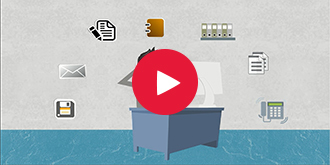 Manage all the files associated with your PCB projects together including the schematic, PCB, BOM, Gerber, Datasheets, and more. Full permissions management is built-in so organizations can collaborate with their partners while ensuring their critical IP is protected. View and track progress across all your projects through the EDM dashboard. Access is available inside OrCAD or via a standard web browser. Every change and update is automatically tracked making it easy to roll back to previous versions or compare changes. OrCAD EDM understands the unique relationships between files generated during the PCB design process keeping everything in synch as your design progresses. Learn More. Watch the Free Webinar. Managing PCB design data is a complex process. Designing a PCB generates a host of files and associated data that must be kept in sync and tracked. Often these files are being accessed and edited by multiple users and changes to the contents of these files need to be communicated across groups and disciplines sometimes spaced around the globe.